I was at my friend's house for a picnic. 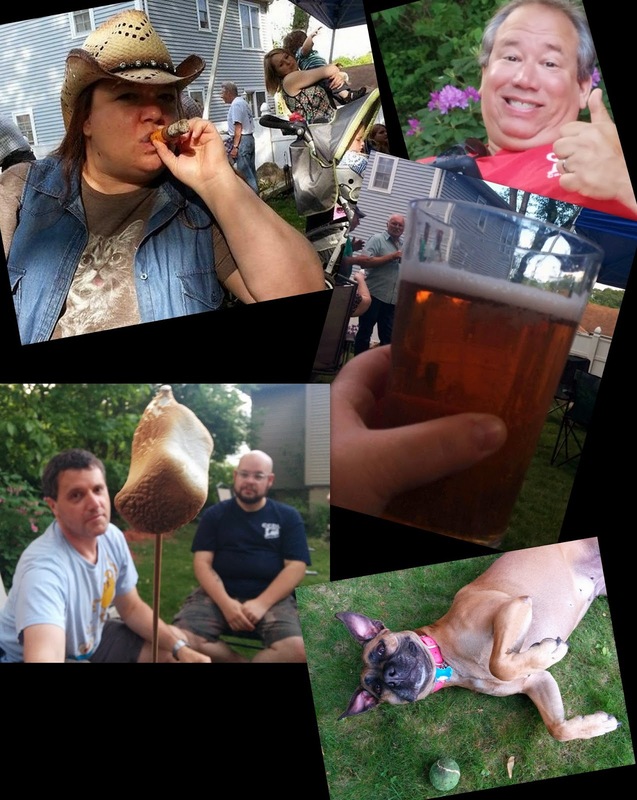 We wiled away the day drinking beer, eating dogs, roasting 'mallows, puffing cigars. All in all, a good relaxing day well spent with awesome friends. I was ready for a change when my host offered me a drink of something different. 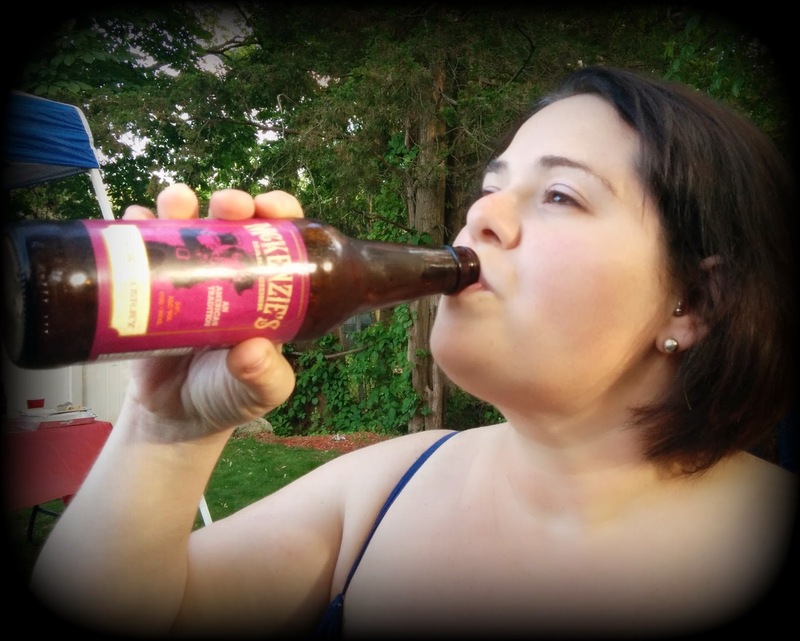 A McKenzie's Hard Cider of the black cherry variation. Hmmm, okay. Twist my arm. Ow! Ow! I said 'okay!!'. Sheesh. Black Cherry Hard Cider (5% ABV) by Mckenzie's Hard Cider in a 12-oz brown bottle. It pours a honey gold with a small head and minimal lacing. The aroma is very very black cherry. The taste is the perfect combination of black cherry and hard apple cider. It is sweet and tart and mouth watering. This is a seriously tasty beverage! The mouthfeel is light, cool and refreshing. Exceptional drinkability. 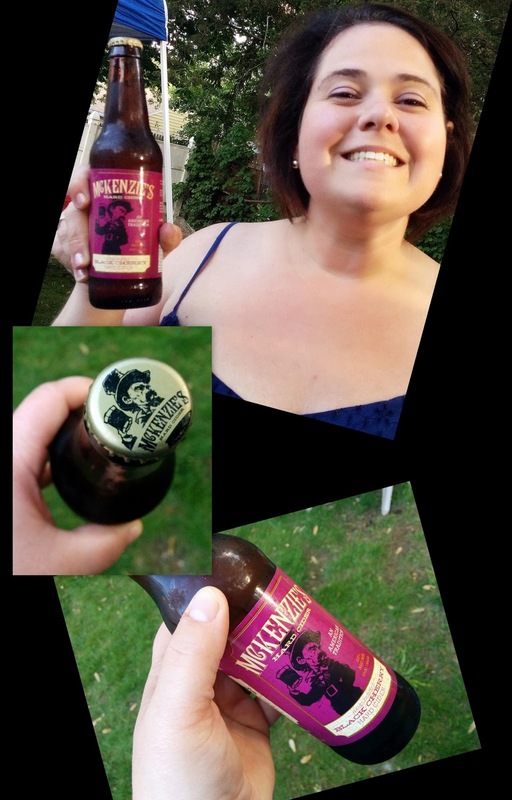 Mckenzie's Black Cherry Hard Cider is a winner!! They sure make really good and fine tasting beverages.